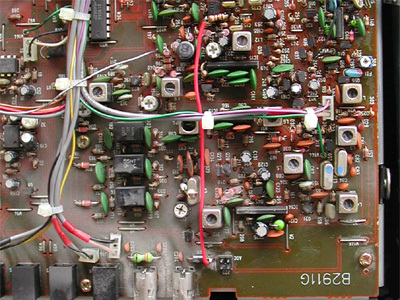 For a discriminator output in an Icom IC-R7100, some mechanical work is required. 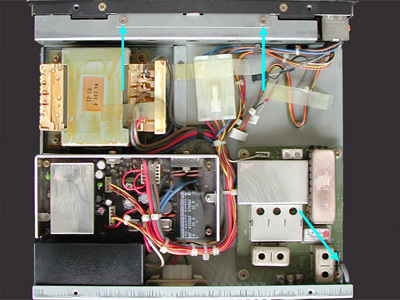 The main circuit board, where the baseband audio can be found, is located under the power supply. 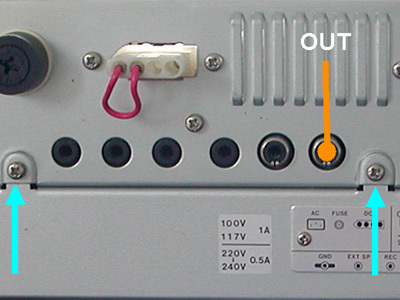 When the top lid of the receiver is removed, the power supply becomes visible. 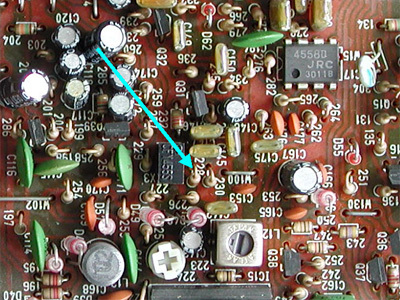 Remove the two screws on the top and in two in the back and disconnect the small coax cable (see blue arrows). When you slide the power supply backwards, it can easily be taken from the receiver. The main PCB is visible now. The unfiltered audio can be found at the top of R228. Some internet sources mention R230, but this is incorrect. 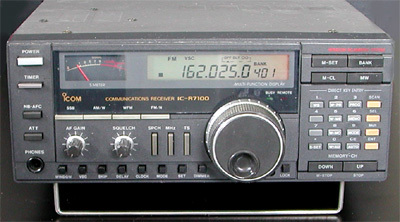 R230 is part of a lowpass filter, which causes fast data signals to be distorted. A 10 k resistor is connected with the top of R228. A piece of wire is connected to the resistor's other lead. The other end of the wire is connected to L20, a wire connection containing a ferrite bead. L20 is located between the AGC jumper block and the AGC cinch connector. The jumper is removed. This way, the (rarely used) AGC output has been converted into a discriminator output..